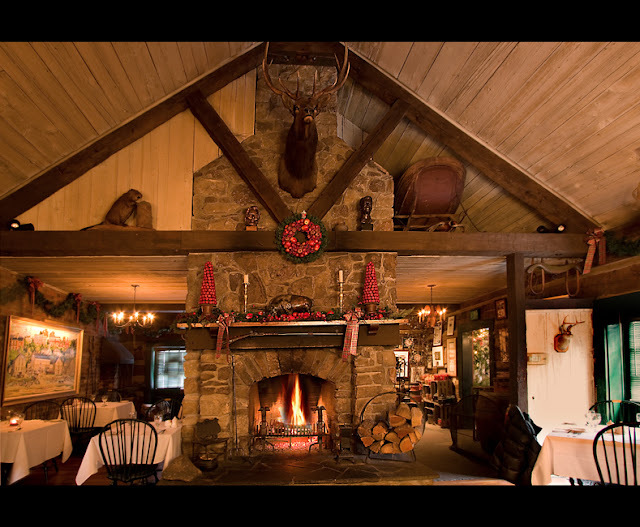 ﻿The Spread Eagle Tavern and Inn was built in 1833 when this part of the country was the western frontier. 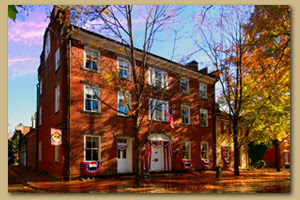 President Lincoln once addressed the local people at the Inn, in the little settlement of Hanoverton, Ohio. The Hanover House, built around the corner, home to the Justice-of-the-Peace, was built in 1820. 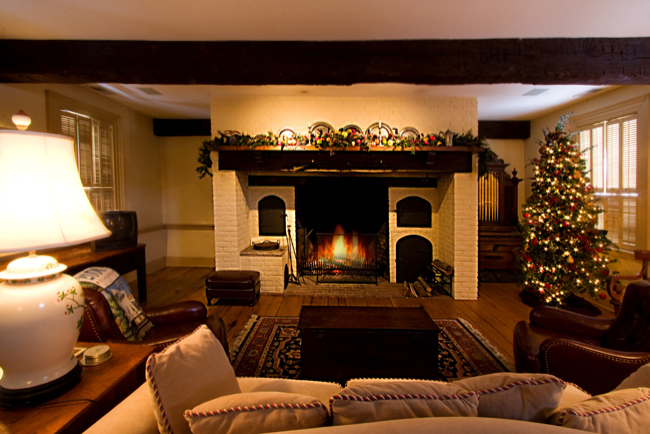 The Inn is now a Bed and Breakfast and the Hanover House can be rented by the night with breakfast at the Inn. I took a tour of this magnificent old establishment last summer when my dining group had dinner there. I knew I must share this with the family so I immediately reserved the Hanover House for the following 3rd of March. 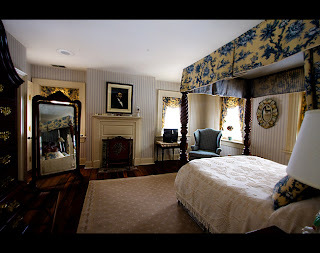 I made the Bed and Breakfast experience a birthday gift for my daughter, Kimberly. The buffet for the mid-afternoon reception was extensive. It included everything from chilled shrimp to hot hors d'oeuvres, with a platter of veggies and a platter of fruit. Julie out did herself, it was delicious. Everyone just chowed down big time for a long time. There were a variety of chips with both hot and cold dips. It was almost too much! The room was so large that a ten foot buffet table didn't seem large at all. Except for the hot hors d'oeuvres, everything fit on one end of the table. As we enjoy having family and friends to dinner, we have seven sets of dishes. One of our favorites is our Italian dishes. Julie and Donna, our housekeeper, crated up the dishes and we brought them with us for our formal dinner. We didn't bring the crystal or silver. We used the extensive glass ware in the house and brought our own stainless table ware. You can see the lovely Italian coloring in the Shrimp Server. Dinner was served promptly at 7:00PM. It would be a long meal. The soup and entree came from Olive Gardens. We have used them for several dinners over the years, some at other Bed and Breakfast weekends, some at home. It is an easy dinner and pretty good. As we do for our dining group, we made a trip to the restaurant to try at least two entrees, choosing the one we think would be the most right for the group. Julie tried the Stuffed Chicken Marsala and I tried the Chicken Vino Bianco. We went with the latter. We choose the Zuppa Toscanna, a spicy soup with sausage, russet potatoes and cavolo greens in a creamy broth. It is a favorite that we have used often. The salad was tossed to the individuals taste from ingredients that Julie had prepared at home. The entree was served piping hot with bread sticks, all on the massive dining table.Our eight foot table cloth was far too short for the table. In 1820 a large table was a necessity for the large families of the day. Large families were necessary just to survive. Just cutting the wood for the winter fires would take a large family of constantly cutting for eight months of the year. We have so much for which to be thankful today. Dessert? Well now, that is a different story. We had planned well but somehow or other the dessert got left at home. Julie uses a check list, but this time it didn't work. We had a cheese cake with strawberries, a sweet but tangy strawberry-rhubarb pie and a hearty mincemeat pie. The weekend is over and we still have them all. Julie called Kimberly who brought a delicious double chocolate cake. 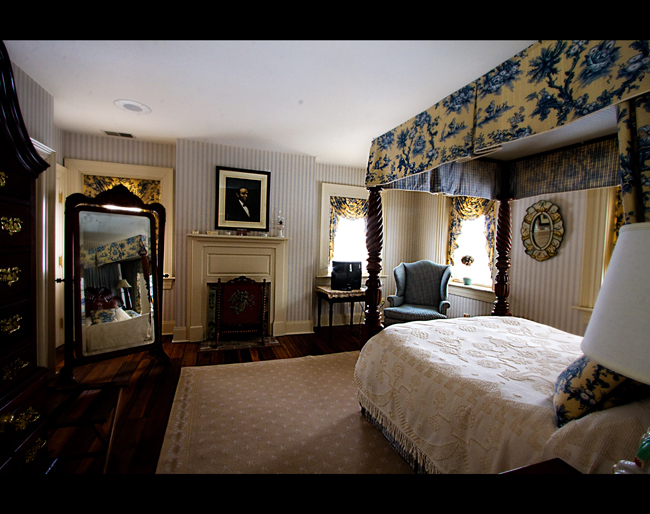 Each bedroom had a fireplace, as can be seen on the left in Kimberly and Jack's room. Mark and Mary Kay's bedroom also had a large sitting room with a fireplace. Mine and Julie's bed was so high that even with my six foot two height I still could not get into the bed. We have a high bed at home and Julie uses a small step stool to get into it. At this old home, a large, two step stool was necessary. And, the saints preserve us from the olden days, the beds were all full beds. Julie and I sleep in a queen sized bed, the two children both have king sized beds. It was a tight fit, believe me. WHAT DO YOU DO WHEN YOU RELIVE LIFE 200 YEARS AGO? Well, you do what they did, something that is rarely ever done today. As Gail Lumet Buckley said "Family faces are mirrors. Looking at people who belong to us, we see the past, the present and the future . Between television, electronic games, computers and our fast paced lives, we seldom really see one another's faces, not to mention having actual conversation. Here Mark and I relax and share a foot stool. Trust me, they each got in their two cents worth! Julie couldn't decide who was the funniest! She has to sit in a rigid chair because of her back. She told me afterwards that she just had the best of times and would love to come back. THIS SAYS A LOT BECAUSE THE WORK LOAD WAS ENTIRELY UPON JULIE. It is hard to believe how much wood we burned in just the one fireplace. It was a cold day with high wind and blowing snow. Perfect for this huge fireplace going full blast. Julie and I stayed up and fed the fire until 2:00AM. Breakfast at the Inn the next morning was at 8:00AM. It was a full breakfast with fresh fruit, warm, freshly baked muffins, eggs to choice, bacon and potatoes. The coffee was wonderful. As with the entire stay, the service was outstanding! We ate at the table on the extreme right in the picture below. THIS IS PART OF THE GOOD LIFE! If you do not enjoy such a life, you can. One does not have to be rich, thankfully, or I'd never be here. IT TAKES PLANNING AND TIME. I planned this one night over a ten month period and paid for it bit-by-bit. This morning, when I paid our regular monthly household bills, I mailed a partial payment to the Royal Garden Resort for a beach front, penthouse suite for the month of October, seven months away. I made that reservation when we left last year. What I do anyone can do, with time and planning. A funny thing happened twice during the day. At different times, two couples walked into the house. They thought it was the Inn. (It actually shares the Inn's parking lot but is behind the Inn and faces another street). I had a lot of fun. I warmly welcomed them, telling them that they were in time for the afternoon buffet but too early for the dinner which was at 7:00PM. Looking around at the strangers, they got the idea, THEY WERE IN THE WRONG PLACE! They were so flustered with themselves. I showed them where the Inn was and we all parted laughing. LIFE IS FULL OF FUN IF YOU JUST LET IT ALL HANG OUT!